This is a preview of the third edition of The Black Ibis Tarot. I decided to discontinue the second edition for a few reasons, but the most prominent reason was size and packaging. Most of my decks are 2.75″ x 4.75″ and having the unified size helps out a great deal when you manufacture your own deck packaging. The previous versions of this deck are around poker deck size. Also, I wanted to make the deck’s artwork a bit more vivid and unified. With the larger cards more of the small details can be seen in the artwork. I was hoping to have the third edition out in May, but it’s looking more like the end of the summer. About the deck: The Black Ibis Tarot is my second tarot deck and a little bit eclectic in style. 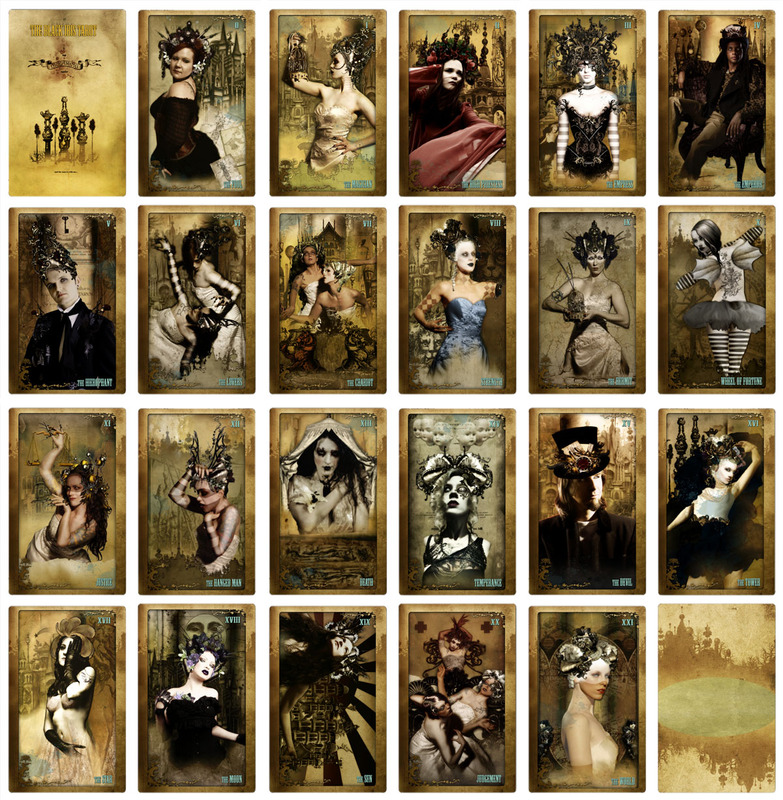 I consider it the companion deck to my Sepia Stains Tarot as they’re both from my graphic novel of the same name. In the story the decks are used to play a game that allows for peaceful resolution of disputes in an underground world. The Sepia deck offers character portraits while this deck I tried to recreate scenes from the story. The artwork is done in the style of the graphic novel and features symbolism influenced by the Rider Waite Smith deck, at least as far as the major arcana goes. The minor arcana uses pips and characters from propaganda posters from the graphic novel. It’s a beautiful deck if I can set aside modesty for a moment. You can see all posts tagged The Black Ibis Tarot here. Or take a look at previous versions.